It is that time of year again when you start to think about the holidays and what to give that special someone in your life. But hold on what if they are a BLOGGER? It case you haven’t realized blogger’s have lots of wants on their Christmas list, which aren’t so obvious to the non blogger. Typically a blogger’s wants usually come in the form of digital products, which you can’t really wrap up. Don’t worry I’ve got you covered! 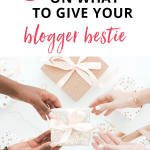 If you are thinking about what to get your significant someone who is a blogger then consider these 8 awesome gift ideas for bloggers. 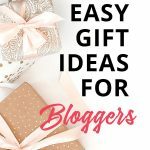 What to give a blogger for The holidays? Many bloggers start out using one of the free blogging options out there whether it be Blogger, Weebly, Wix or WordPress(dot)com. These sites can be nice for a hobby blogger but if you want to start monetizing your blog then I recommend a self hosted blog using WordPress.org. What this means is you buy your own domain name and pay a hosting company to house and store all your blogs files. I personally recommend SiteGround for hosting. They always have a great starter discount and you can get your domain through them. If you already have hosting then maybe consider upgrading. I went with SiteGround’s second tier option the GrowBig plan, which allows you to host multiple websites with your hosting plan. There are free WordPress themes out there but generally they are limited and are restricted in how you can customize your theme. Buying a premium theme is the way to go. I personally use the Victoria theme by Bluchic. They have a great selection of feminine WordPress themes. They may market themselves as feminine themes but they can easily be made masculine or gender neutral because Bluchic themes are designed to be easily customized. I also recommend checking out Creative Market or Studiopress for other theme options. I will be the first to admit I am not a very good photographer. I have to rely on the talents of others and use styled stock photography for my blog. I love and use Haute Stock (formerly Haute Chocolate) photos for my website. They have a membership library where you pay quarterly and get access to the entire library and twice a month new collections are added that you can download. A couple other good options for feminine styled stock photography include Color U Bold, Styled Stock Society, Kate Max Stock, Just Darlin Y’all and Ivorymix. If you are not ready to buy a membership, definitely get on their list because they usually offer some freebie photos for subscribing. To go along with the stock photos another great resource is pre-designed social media templates. Bluchic sells social media templates for Canva that you can use with the free Canva plan. Creative Market is also a great place to look for pre-designed social media graphics. I also want to mention something I use myself, pre-designed landing page templates from Bluchic. (As you can tell I am a big fan of Bluchic products) A landing page is a specific type of page that is designed in a way that your reader has one of two options either sign up or leave. The template pack includes opt in page, sales page, thank you page, webinar page and tripwire page. When running a blog there are a lot of different tasks to juggle and the success of your blog largely depends on how you manage your tasks and your time. Using a planner like Restored 316’s business planner is a must to help keep you on track. When it comes to the world of blogging there is so much to learn and that is partly why I love blogging because it is so multifaceted that there is always something new that I can learn to help my blog grow and be successful. One course in particular I like to recommend is Making Sense of Affiliate Marketing. The key to making money blogging is about creating multiple income streams and one great way that every blogger should have as part of their monetization strategy is affiliate marketing. This course goes in depth on what is affiliate marketing, what are the best strategies to be successful at affiliate marketing and the ins and outs of how to stay legal when promoting a product. This is more of a beginner course. If you want a more advanced affiliate marketing course try this one. Personally I am all about learning how to increase blog traffic to my website and Pinterest is a key part of my strategy. 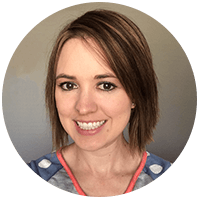 I also recommend checking out the ebook Pinteresting Strategies or The She Approach to Boosting Your Blog Traffic. Canva is a great online free resource to design blog images and social media graphics, which I use every once in a while, but my personal preference is for Adobe Photoshop. You can start working with Photoshop today for $9.99/month with the photography Creative Cloud plan; which gives you access to Photoshop and Lightroom. For me personally one thing on my Christmas list this year is to upgrade to the full Adobe Creative Cloud suite, which consists of all adobe apps. Specifically I am looking at learning how to use Adobe InDesign and Illustrator. Adobe InDesign will help with creating pdf content for my blog like designing email freebies and ebooks. I also want to learn Illustrator because oftentimes I have wanted to purchase an illustration through Creative Market, but it is only sold in an illustrator file type, which Photoshop can’t read. 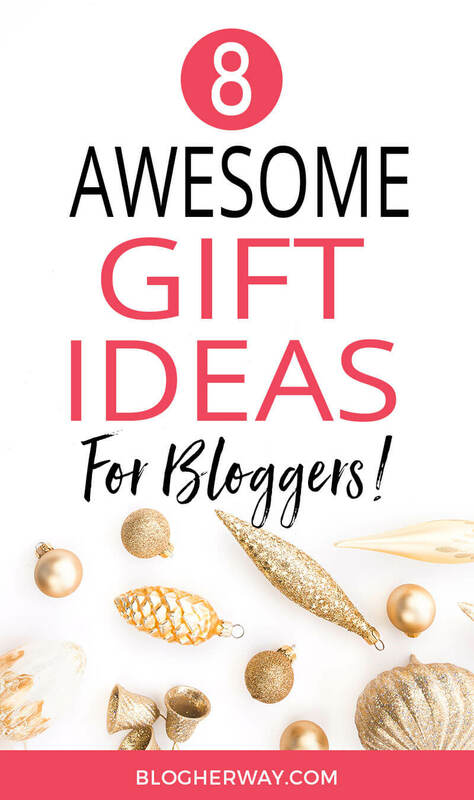 Check out this AWESOME gift guide on what to give a blogger for the holidays! Don’t forget about the home office. Many people blog because they want the freedom to work from home and control their own schedule. I like to use those picturesque stock photos of shabby chic offices when in reality my home office is more mess than chic. Check out Glam and Paper or MyPrettyOffice that offer cute feminine office supplies to take your home office to the next level. It may continue to be messy, but at least it will be cool! What’s on your list this year? 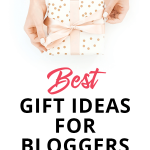 Whether it be their birthday, Christmas or any other special holiday… What are you going to give the special blogger in your life? If you are ready to start a blog check out my post on How to Start A Blog: Easy Guide for WordPress. 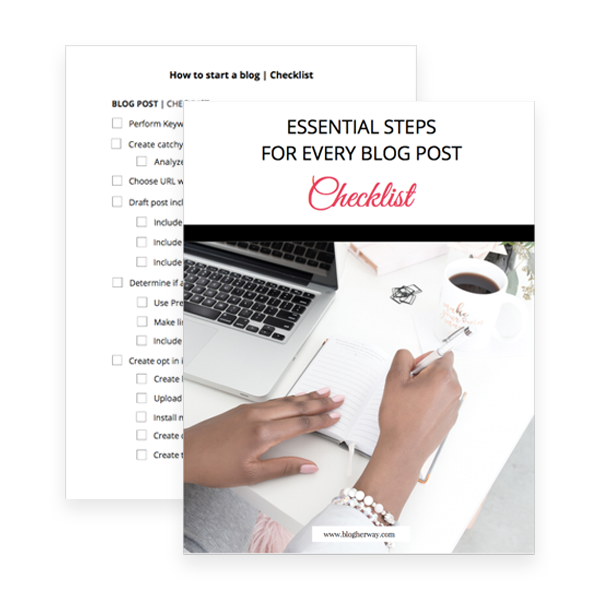 I have also put together a 100+ step by step checklist to get your blog ready to launch.